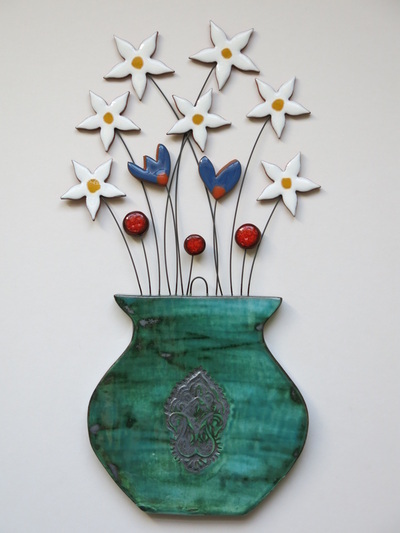 My compositions of flowers are mostly intended as wall pieces. 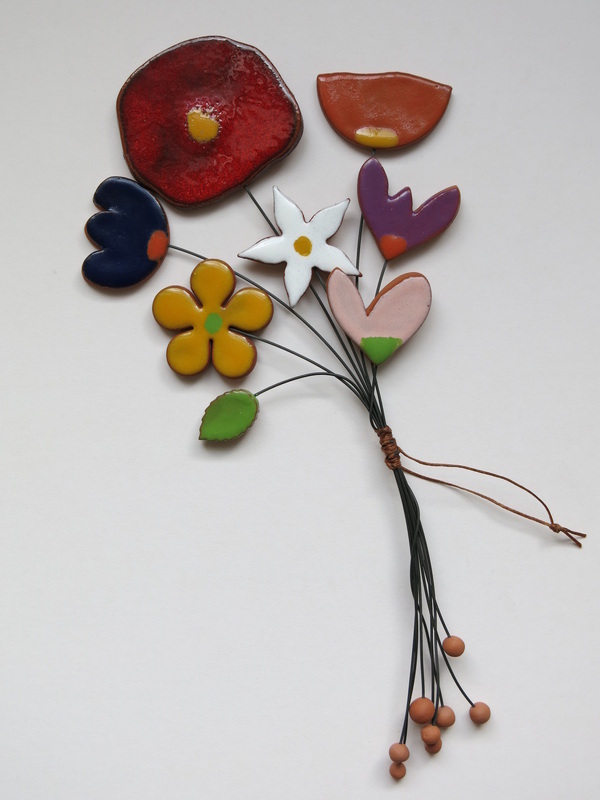 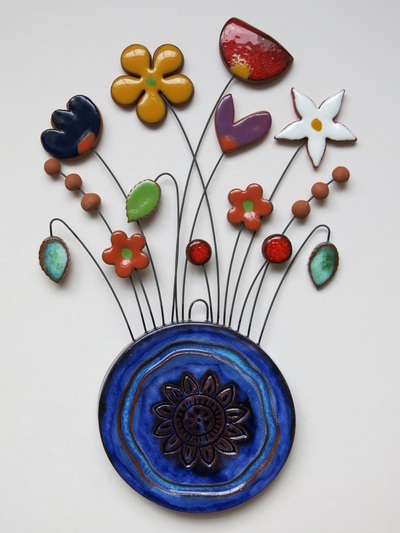 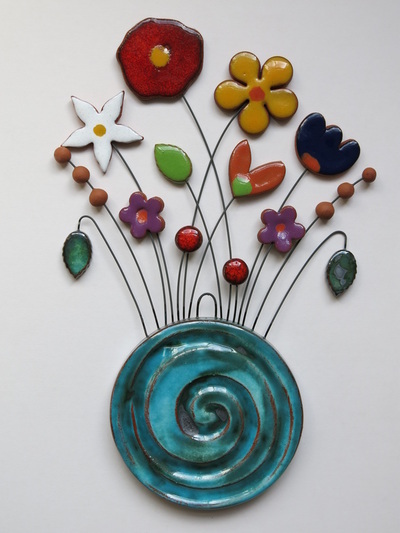 I use terracotta clay, kiln wire, and a variation of colourful glazes and oxides. The design of the base is influenced by earth's spherical shape and the form of ancient amphorae.